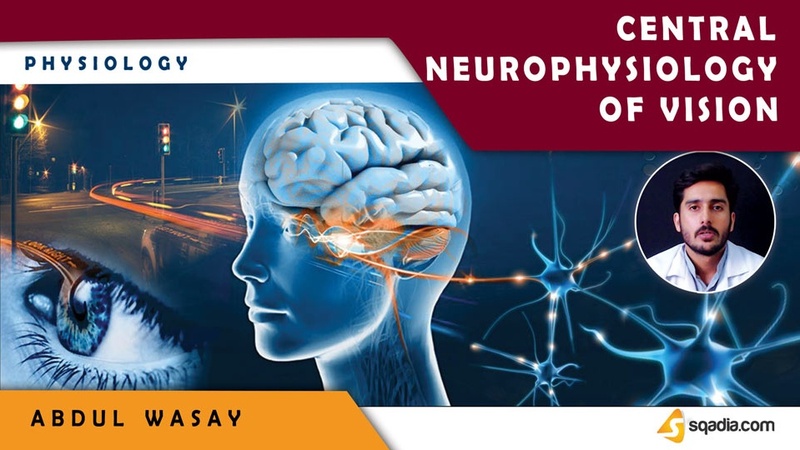 In this lecture ´´Central Neurophysiology of Vision´´ is explained. Section one is about ‘‘Visual Pathways’’. Section two is about ‘’Organization and Function of the Visual Cortex’’. Section three is about ‘’Analysis of Visual Information’’. Section four is about ‘’Neuronal Patterns of Stimulation’’. Section five is about ‘’Eye Movements and their Control’’. Educator tells about the visual pathways, about the old system and the new system. After that dorsal lateral geniculate nucleus is comprehensively explained. Lastly, visual cortex is studied. At first, primary visual cortex is explained. Following this is the secondary visual cortex. At the end major layers of primary visual cortex are illustrated. Educator’s first theme of discussion is the fast “position” and “motion” pathway. Then the accurate color pathway is pursued. Concluding remarks are given on the analysis of contrasts in the visual image. This section is started by the elucidation of orientation of lines and borders. This is followed by the discussion of lengths, angles or other shapes. Moreover, information about detection of colour is conveyed. Initially, educator tells about the muscular and neural control. Next focus is on the fixation movements of the eyes. At the end fusion of the visual images from the two eyes is demonstrated.